RUN YOUR DELIVERY BUSINESS MORE EFFICIENTLY. FROM QUOTING, TO ROUTE OPTIMIZATION, TO BILLING. 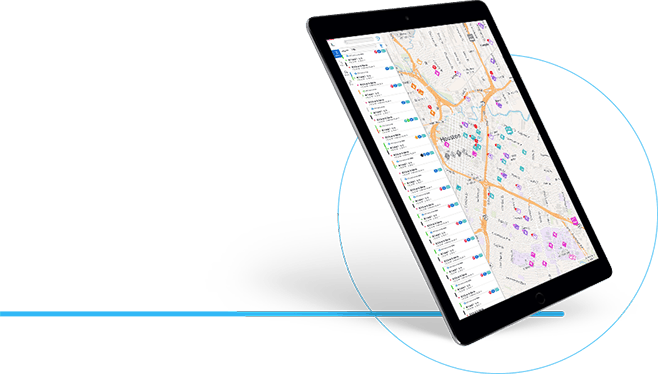 Easy-to-use software that lets you automate everything – from route planning, to dispatching, to billing. So you can stop worrying about the competition and start focusing on growing your business. Dispatch Science automates your dispatching tasks faster and more accurately to eliminate human errors. Optimize routes, send the best driver for the job, and avoid wasting valuable capacity. Our intelligent delivery management system provides optimized routes to drivers so they can deliver parcels faster and save time and fuel – all while increasing their earnings. Dispatch Science lets your customers use the app or self-serve portal on your website to get quotes, place orders, track deliveries and more. Make it easier than ever to do business with you. Dispatch Science gives you total insight on order completion, SLA adherence and driver performance, plus profitability and margins by service type and pricing model. Optimize your business and outpace your competitors. With route optimization, real-time alerts and powerful algorithms, your dispatchers can easily meet SLAs, manage exceptions, balance workloads and even take lunch. Provide self-service tools that today’s customers expect, including an online portal, mobile app and even voice-activated Alexa/Google for easy ordering. Real-time, end-to-end tracking sets you apart by offering an exceptional customer experience and by anticipating slowdowns or errors before they become a problem.